What’s to Love: Are you making your plans for the winter holiday season? Portland Family Adventures highly recommends Black Butte Ranch during the Christmas holiday season. Black Butte Ranch comes alive during the festive holiday season. Close your eyes and imagine their properties and roads lightly dusted with some fluffy dry snow perfect for tooling around the resort on cross-country skis and quite possibly, sledding on some of the golf course hills. Even in winter, Black Butte Ranch delivers the best in family fun. Please check-out this reprinted article from our experience last year. 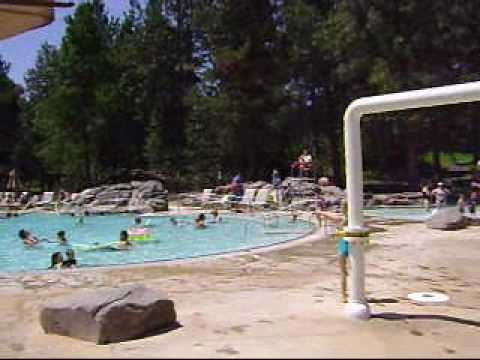 Black Butte Ranch is a family resort located 8 miles outside Sisters, Oregon. There are a myriad of activities for the whole family including golf, swimming pools, bike trails and rentals, tennis, spa, fitness classes, and much much more.